© 2019 Raw Femme. All Rights Reserved. Meet the incomparable, soulful, singer-songwriter Moorea Masa. A Portland native, the 25-year-old brings an organic Northwest vibe to traditional R&B sounds. 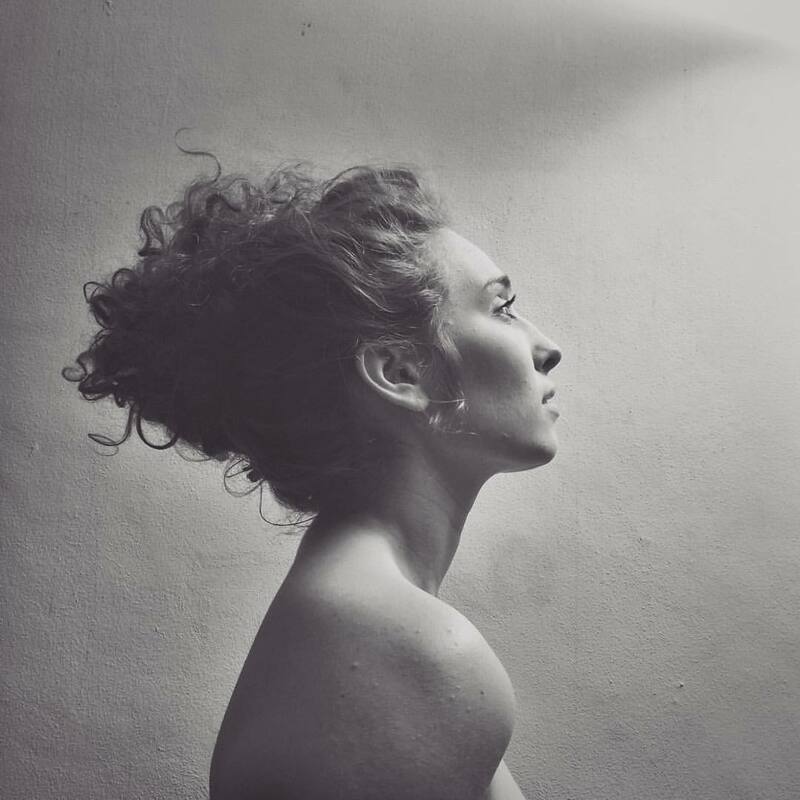 Profoundly moving, she blends sumptuous soul together with stripped-back folk harmonies. After working as a featured vocalist and backing singer for a range of artists, including KD Lang, Allen Stone, El Vy, The Decemberists, Nick Waterhouse, The Motet and more, she released her debut ER in May 2017 and is set to release her next album in collaboration with producer Jmost this spring. She has toured nationally as a solo artist, and previously as part of The Ruby Pines and Ural Thomas & The Pain. Moorea is fresh off the release of “I Can’t Tell”, the first single from her forthcoming full-length album available this Spring. The seductive tune is accompanied by a sultry and intimate music video that compliments the smooth love song. The babes at Big Picture Media presented us with an opportunity to interview the soulful songstress and we couldn’t be more grateful. Get to know Moorea below and support her incredible work! What initially inspired you to become an artist? I’ve been singing since I could talk, and before I knew it was a thing you could do. Then when I figured out people did it as there careers, I just knew that’s what I wanted for my life! As well as when I realized how powerful of a tool for good music could be, and that I could combine all the different aspects of art and performing that I loved, I was officially hooked. Where do you usually gather songwriting inspiration? And what is your usual songwriting process? I gather my inspiration from my past, my daily process, the world and it’s current state. I’m always soaking in inspiration from all around me. This album has a ton of songwriting collaborations which I love doing as well, but the songwriting process really looks so different every time. Some songs come in an hour, and some take years. It’s all over the place. Tell us about the message behind ‘I Can’t Tell’. I love the intimacy and rawness of the track, and the production of the music video tells such a beautiful story. The song was inspired by the greatest love in my life, my partner Steve Watkins. I wanted to share the many different aspects of love he has shown me. The sweet sensual and stable side, and the raw passionate side as well. I wanted to show the story of two individuals who come together to love one another, and who don’t lose their own lights in the process. You’re only 25-years-young, but your sound feels seasoned beyond your years. How do you maintain your musical authenticity despite the music business’ hurdles of being both young and a woman? I’ve experienced sooo many older men trying to tell me how I and my music should be. Learning to really listen to my own self in the process has been a huge lesson, that hasn’t always been easy. I am so grateful for the people I have in my closest circle to keep me grounded when I start to get outside of myself. Meditation has also been a big help for me in this. Always coming back to the main reason and purpose I make music is so helpful. What do you want listeners to take away from your forthcoming album? I hope they hear it and feel less alone with wherever they are at in their own life. I hope they can really feel their own emotions through the music, and that it can help them process whatever it is they may be going through. If you could cut a record with any artist, male or female, dead or alive, who would it be and why? Ooooo, oh man. Stevie Wonder. He’s just one of the most incredible musicians, and joyful humans out there. To get to see his process would be unreal. Can we look forward to a tour this year? Yes! Be on the look out in May for a CD release tour. I’ve got some really exciting collaborations up my sleeve for that one! What words of wisdom can you share with aspiring female musicians and entrepreneurs? Keep going, don’t stop. It can get so hard, but I promise you’re not alone in your fears and doubts. Lift up the womxn and folks up around you. The stronger your community is, the better you are. Everyones got opinions, and you should keep yourself open, but ultimately listen your own heart. We need your voice more than ever right now! What’s your interpretation of a Raw Femme? Unapologetically you. Strong, vulnerable, powerful, brave you. In today’s society, art and especially female artists have been pushed to the back burner, discouraging many to express themselves as individuals. Raw Femme’s vision is to put a halt to that, and turn it around. Raw Femme began as online publication in 2013 that put a spotlight on the talent of emerging female artists, but has quickly transformed into a society that unites ambitious and innovative women from around the world, and we’re spreading like wildfire. We are a multi-faceted, artistically inclined platform fueled by creative and artistic women that hosts local female-centric events, produces online editorial content, and collaborates with other like-minded organizations. Are you feeling inspired yet? Meet Brittany McKay aka B. Rose, a Las Vegas-based singer-songwriter known for mesmerizing crowds with her powerful voice, energy and stage presence. Enveloped by the amazing musicianship of her band consisting of young up-and-coming local artists, B. Rose has been making waves in the Las Vegas music scene for many years now. In Episode 6 of the Artist Spotlight series, Raw Femme presents Mandy Joy, professional artist born and raised in Upstate New York. Mandy learned to sketch faces in a college art class, and loved to draw her nieces and nephews. She did not pursue painting until she moved to Las Vegas 7 years ago and became inspired by the scenery of the area and regional Southwest. At the urging of friends and family, she began selling my work in spring 2013. Six months later, she was a full time artist. Learn more about Mandy's journey below and support this talented babe! In Episode 4 of the Artist Spotlight series, Raw Femme visits with Jessica Galindo owner of Leather Couture. Leather Couture is an avant-garde, luxury leather line of impeccably handcrafted accessories and handbags. Each work from Leather Couture is handcrafted and assembled in processes that can take anywhere from several hours to several days to produce. The designer, Jessica Galindo, hand-selects treasures she connects to and that reflect her aesthetic. In Episode 3 of the Artist Spotlight series, Raw Femme visits with Kristel Nazareno owner of The Clean-Up. With both a cosmetology and barber background, Kristel J. Nazareno specializes in services from fades to cutting long length and styling. Kristel has made a name for herself in a male-dominated industry, pushing against boundaries, and serving up signature hairstyles with a woman's touch. In Episode 2 of the Artist Spotlight series, Raw Femme pays a visit to Concept, a Las Vegas based custom clothing shop founded by Joe and Alexa Jimenez. The married duo, along with their talented staff, are custom clothiers and sample makers for businesses, clothing lines, and public figures. They are the go-to embroiders for many well-known streetwear brands that currently operate out of Las Vegas, such as KNYEW & Lucrative. They have also created their own brands of clothing, Shop Originals and Goddess, both consisting of all hand-crafted and custom designed pieces. In Episode 1 Artist Spotlight series, Raw Femme is thrilled to present an exclusive interview with Gabrielle Wortman and Jason Rosen of Smoke Season. We visited the talented duo during soundcheck for their killer show at Beauty Bar in Downtown Las Vegas. Sign-up now - don't miss the babelicious fun!